The Armstrong House, located in the coveted Sandy Hook development, is one such gem. Designed by architect Edward “Tim” Seibert and built in 1962 by Frank Thyne, the home was returned to its former glory though a year-long renovation project spearheaded by a team from Seibert’s namesake firm. Although many similar homes in the area suffered structural damage as a result of poor maintenance, the Armstrong House was in good shape overall, notes Sam Holladay of Seibert Architects. Builders retained the original fir ceiling beams and replaced damaged teak paneling with cypress through the house. Modern, low-profile furnishing in the main living area provide a comfortable space for entertaining. The new homeowners also cherished the original design concept, which sought to integrate the indoor living space with the natural beauty outside, and saw no reason to tinker with the layout. The builders set out to preserve elements that spoke to the home’s mid century heritage—including floor-to-ceiling sliding glass doors in the main living and dining areas, fir ceiling beams, and terrazzo floors throughout the house—while updating the kitchen and bathrooms for modern living. 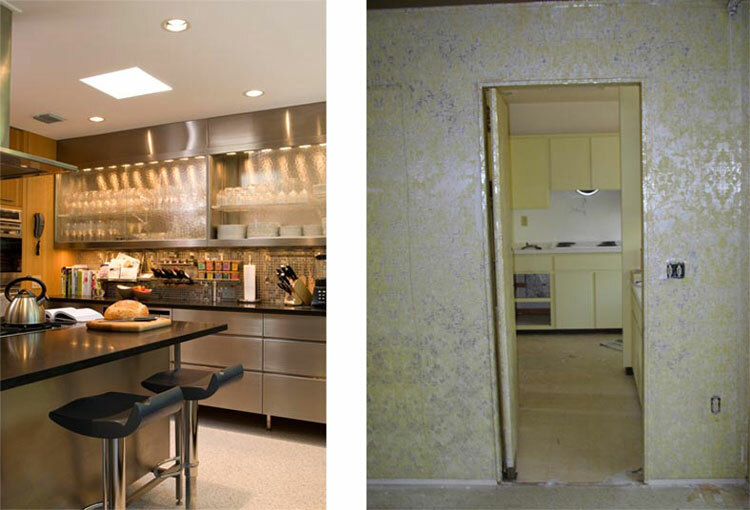 Builders gutted the outdated 1970s-era kitchen and installed custom stainless-steel cabinets and honed black granite countertops to create a modern space for cooking and conversation. “A lot of it was finishes and materials,” says Holladay of the renovations. “It was looking at things that were in bad shape and making them better.” The greatest challenge was keeping costs low while bringing the roof, electrical and plumbing up to code, he notes. Construction criteria for Florida’s coastal areas limits work on existing houses in a flood zone to 50 percent of the home’s appraised value. “For a lot of these older homes, the value is really in the property and not in the house,” explains Holladay, noting that upgrades requested by the bank quickly put construction costs over the limit. This dream kitchen, created by interior designer Seth Schulander, includes high-tech stainless-steel appliances for the man of the house, an avid cook. Exceptions can be made for homes that have an historic designation, so the homeowners, architects and designers pursued this option to fully realize their vision. 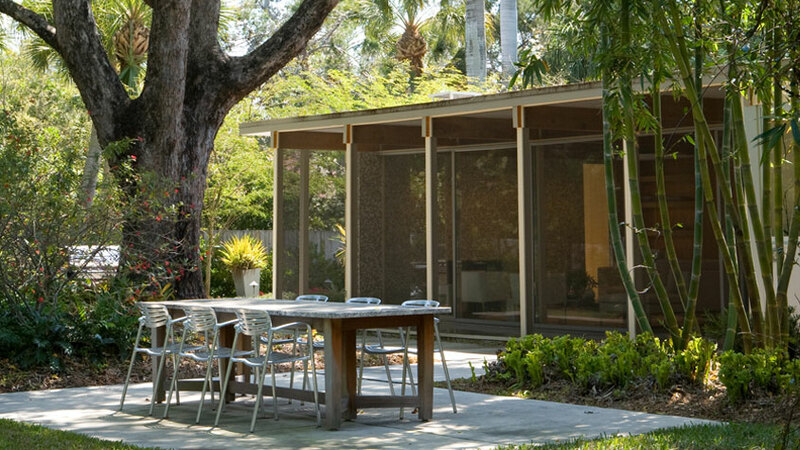 Thanks to their collective efforts, the Armstrong House was spared from the bulldozer and once again shines brightly as an example of Sarasota’s modernist movement. A screened back porch and landscaped patio offer two inviting options for outdoor dining. 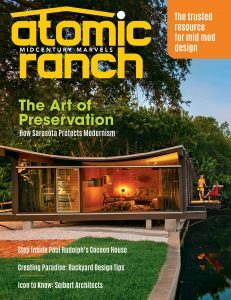 Find the full story of the Tim Seibert’s Armstrong House in the Atomic Ranch Summer 2019 issue and more on the architectural heritage of Sarasota, Florida. Buy your copy here, or at your local newsstand.